Urban Horse promotes an Ear Balm / Face Balm Insect Repellent by Red Horse Products. Available in a handy 190ml tub. Can be used by Humans, Horses and All Animals. Red Horse Ear Balm is an insect repellent in a natural greasy base. Ideal for smearing in places where black flies attack or any biting insects. It contains the safe repellent Saltidin which stays on the skin for prolonged periods and also moisturises dry and irritated skin. Ear Balm is also a soothing summer balm primarily for use in your horses ears. It helps to relieve dryness, itchyness and soften scabs inside the pinna (the external part of the ear). As a result it can greatly increase a horses comfort levels in the summer month and is especially useful for preventing distraction when riding. With a natural olive oil, shea and beeswax base and neem oil with Saltidin to soothe and moisturise irritated ears. 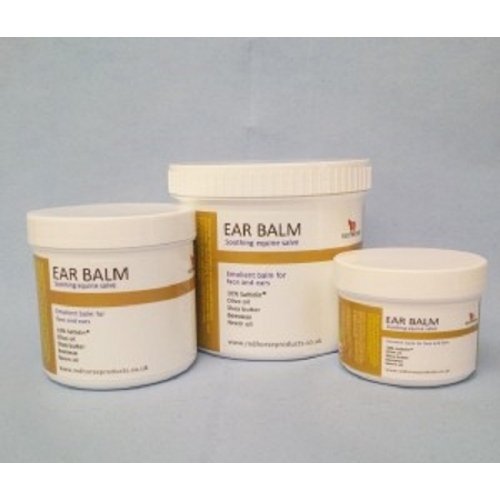 Ear Balm can of course be used on other external areas of the horse too.